April showers bring May flowers and RAINBOWS! 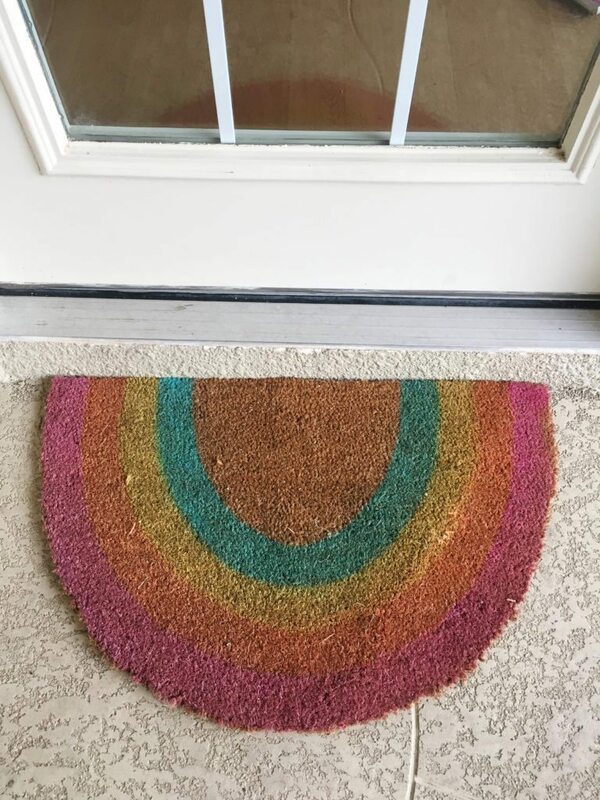 How cute is this doormat? Pretty cute if you are asking me. I’d been looking for the perfect mat to no avail and then like with many things I decided to just make my own. I was inspired by the likes of Oh Joy and The Novogratz, but neither mat was exactly what I wanted. That being said it was time to take the spray paint and craft knife into my own hands. Use a piece of poster board the same size as your door mat. Trace circle stripes like a rainbow onto your poster board. Feel free to trace something like a large platter. You will need as many stripes as you want colors in your rainbow. Try to make each stripe even. Cut out all the stripes. One stripe at a time use your Colorshot Paint to add a color. The stripe you are painting should be revealed while the others are covered with the poster board. 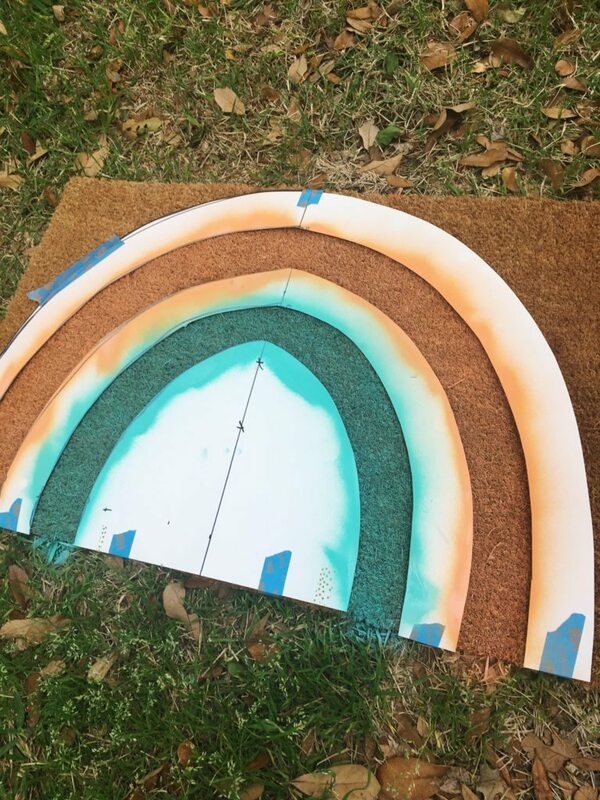 You could also use regular spray paint. When all your stripes have been painted and the paint has dried it is time to cut out your rainbow. 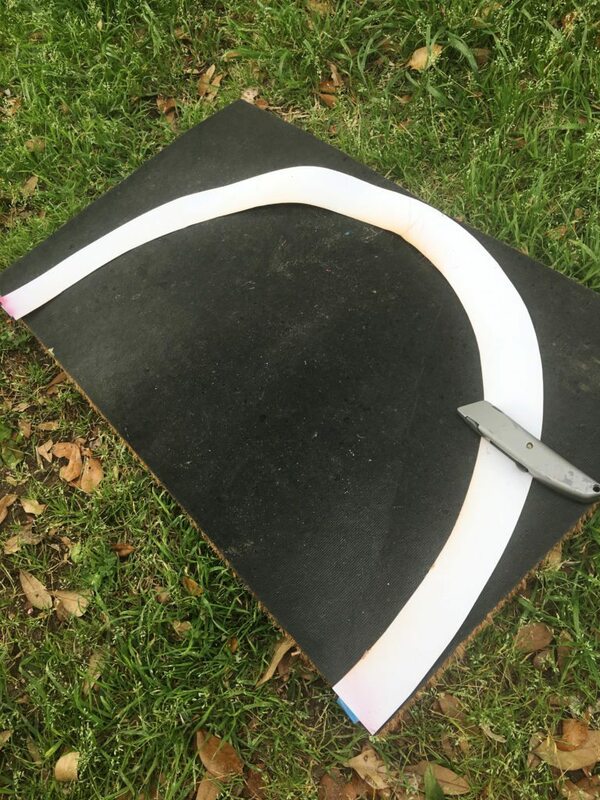 Flip the mat over and use your largest outside stripe as a guide as to where to cut with your utility knife. The hardest part about this project is bringing yourself to wipe your feet on it. I almost don’t have the heart it’s so cute. I love the instant sense of happiness that rainbows bring. That is the exact feeling I want people to have coming in and out of my house. 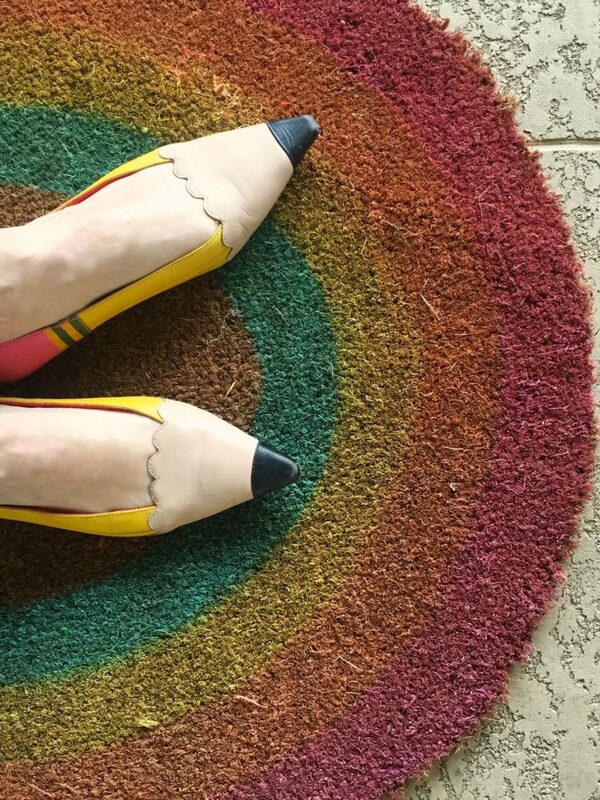 Looking for more ways to bring a pop of color to your doorstep? Sure you are! 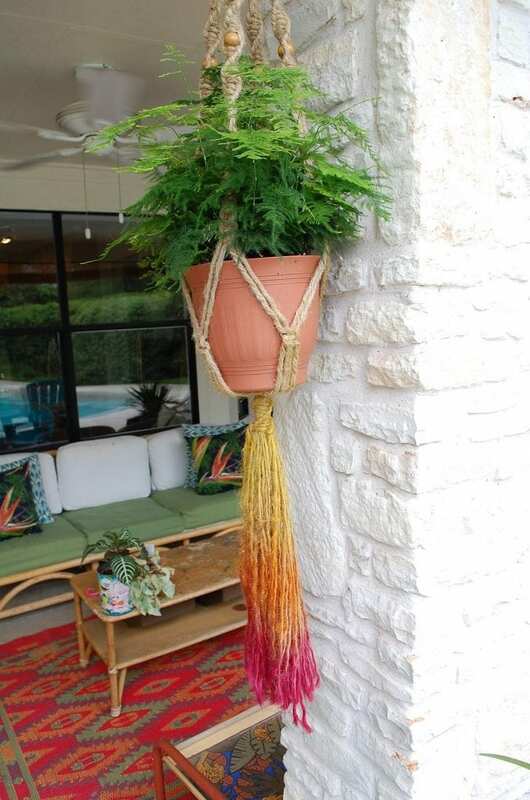 Did you know you can easily dye jute hanging baskets? 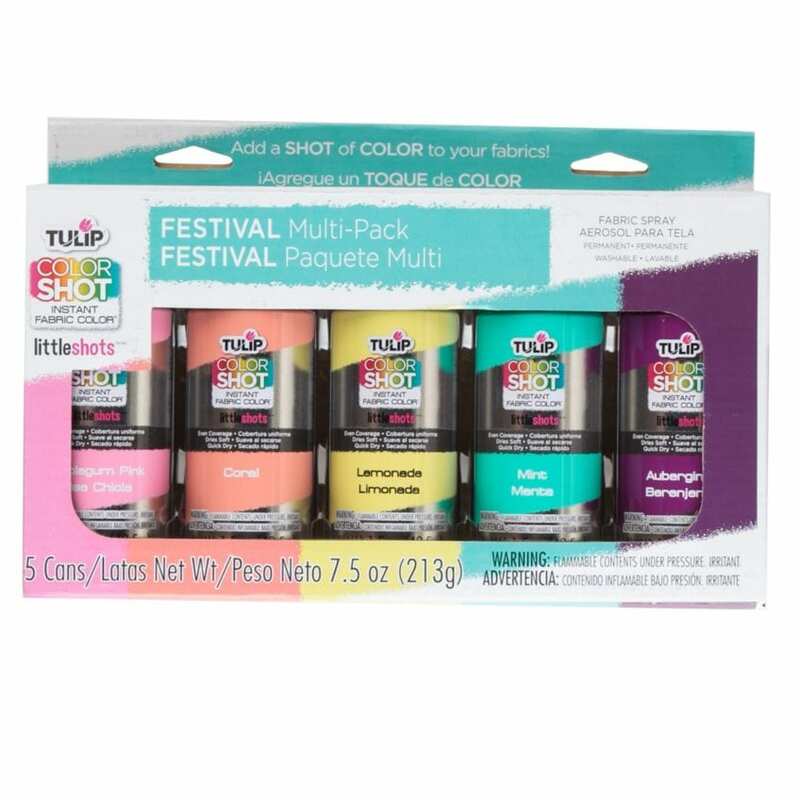 Better yet you can make them ombre colored, or tie-dye or anything your little heart desires? You can, it’s true! 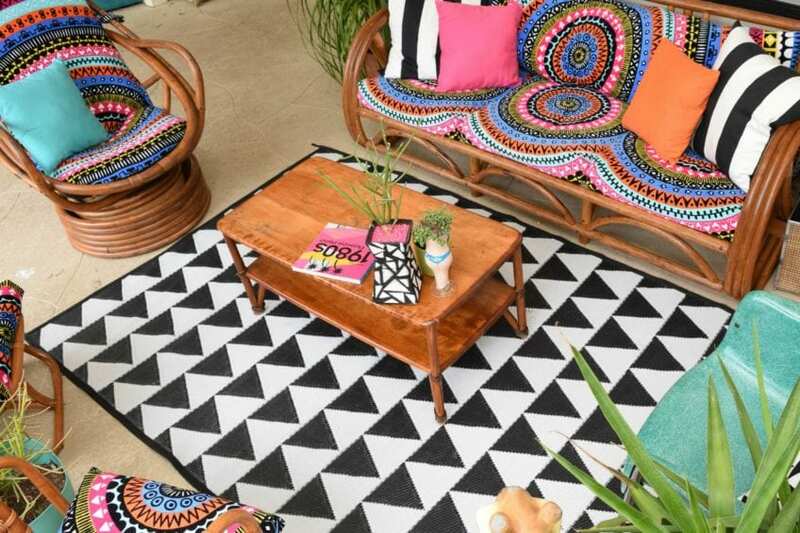 Patio furniture got a bad case of boring? Grab some beach towels and spice things up. There is no reason why cinderblocks should stay gray. 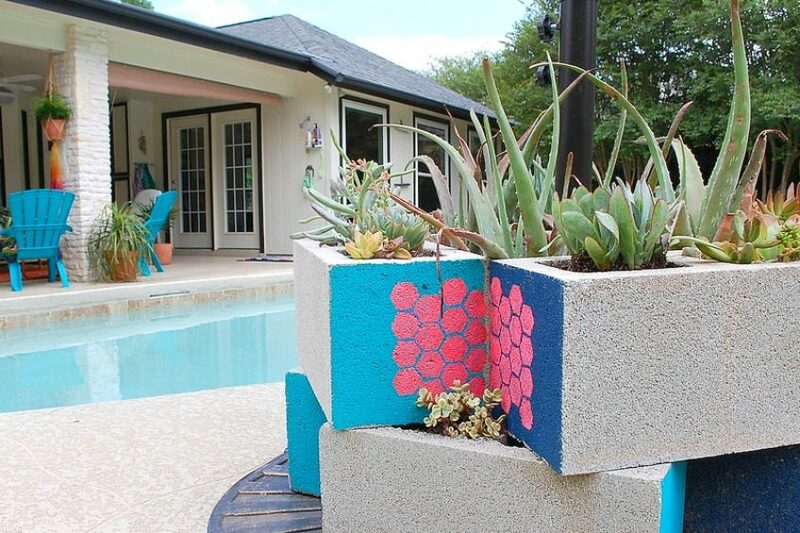 Not when you have colorful paint, stencils and a bunch of plants lying around. Posted March 28, 2017 & filed under Crafts, Home Décor Crafts, Plant Crafts. This is such a great idea! Also I love the pencil shoes in the first image they’re amazing! Thanks so much Rachel. I seriously need to do a DIY on how to make those shoes. I want those fabulous pencil shoes!!! !